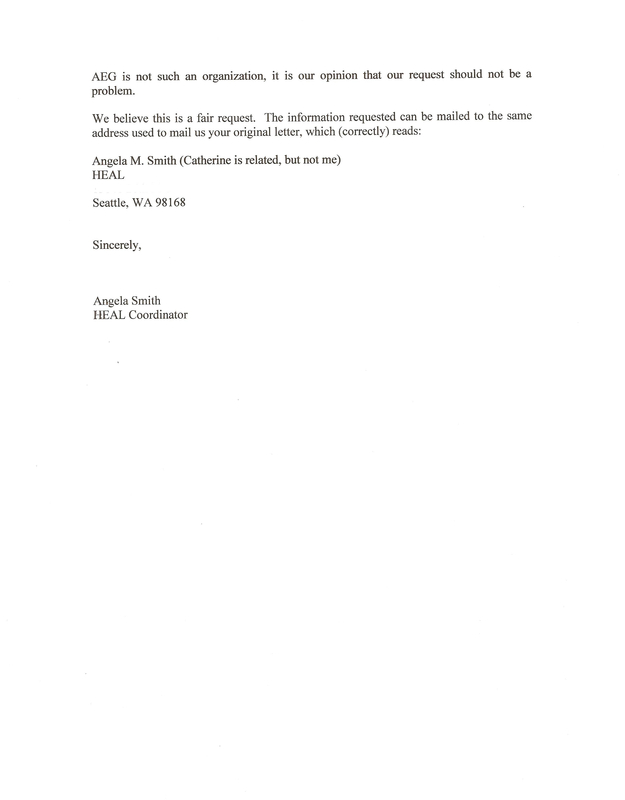 HEAL has received many "Cease and Desist" requests over the years and we have never complied. We will never comply. And, we advise corporations, businesses, and other entities that violate human rights and defraud the public to stop trying to intimidate us into silence. We will not be silenced. 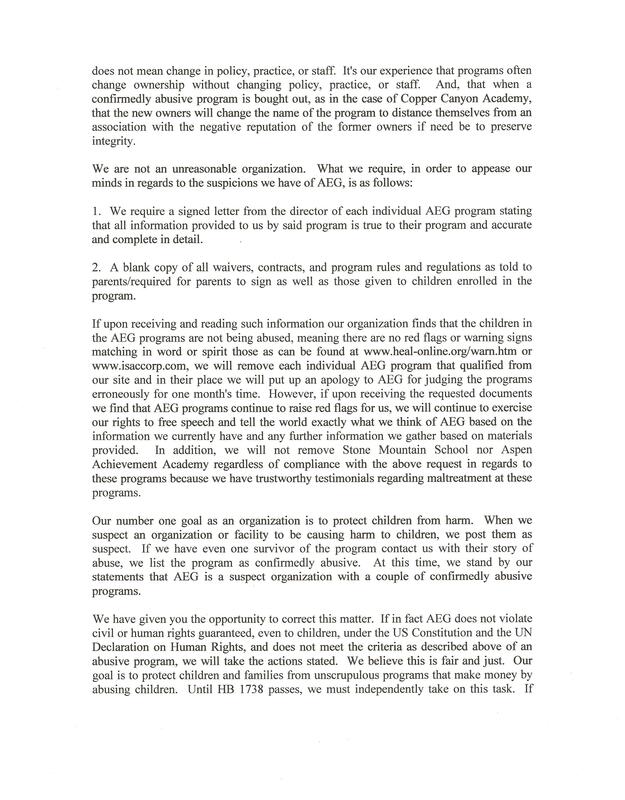 We do suggest that those who wish us to "Cease and Desist" take their own advice and stop violating the law, torturing children, and ruining lives. For each of the requests below, we responded. 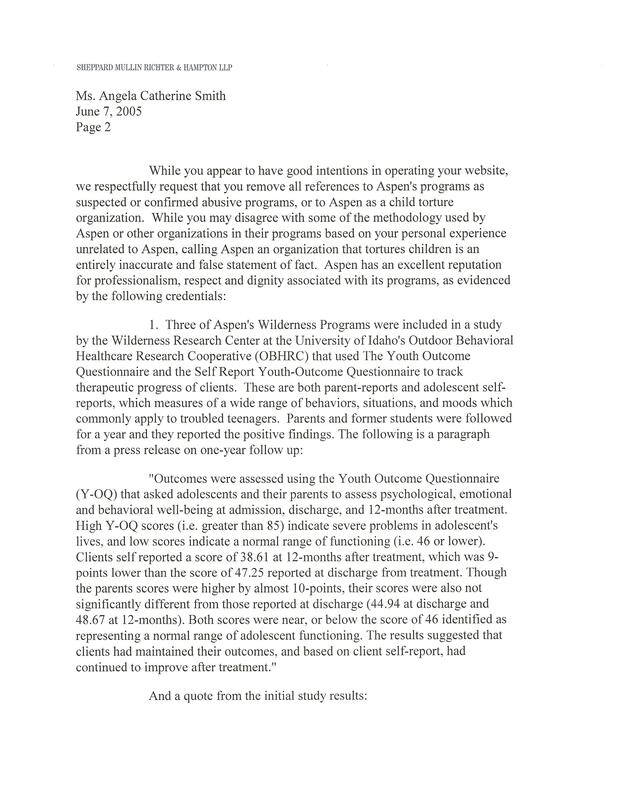 Often the response was a version of what is now an offer online to suspect programs. We have not included every response below, but, we assure you that the language and arguments are very similar to those that are provided. 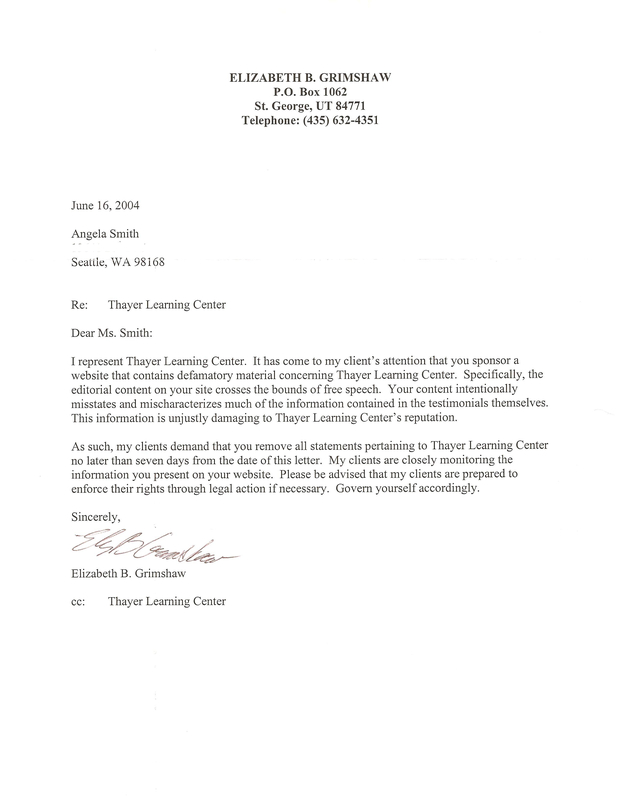 HEAL responded to this ridiculous request by Thayer with the following copy of an article exposing abuse at Thayer Learning Center (now closed, btw--thanks mostly to ISAC). 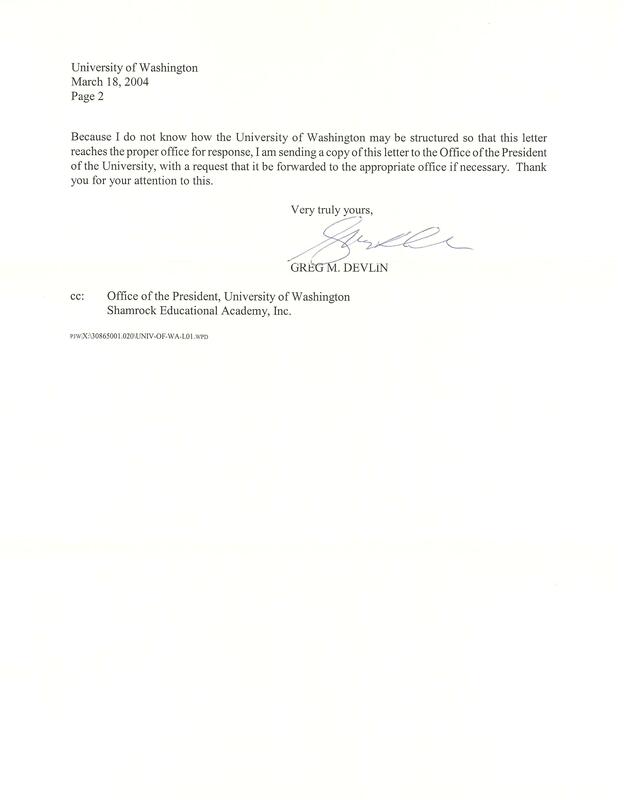 In 2004, HEAL's website changed from a University of Washington hosted website to a privately hosted website. HEAL has remained with our current service provider (1 & 1) for over 5 years. 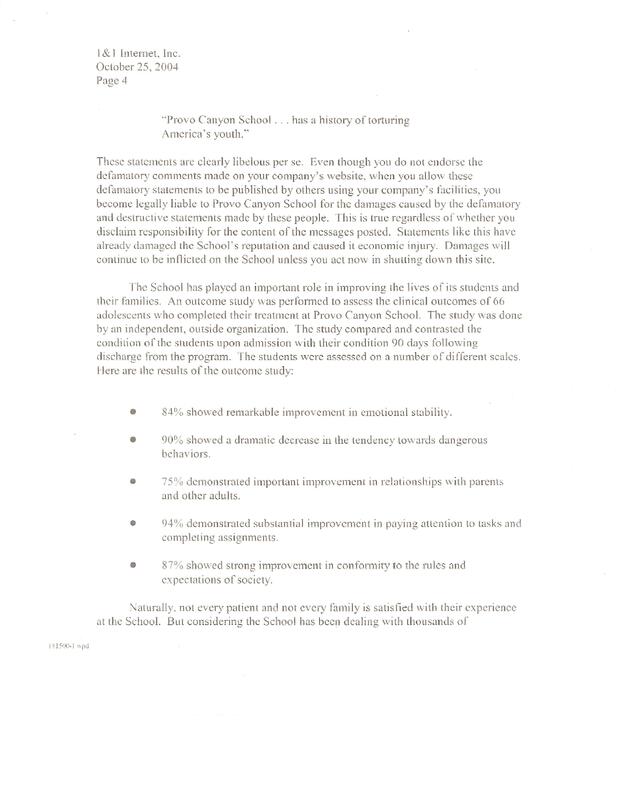 Below is a letter Provo Canyon School sent to 1 & 1 demanding we remove the petition at www.heal-online.org/sign.htm. 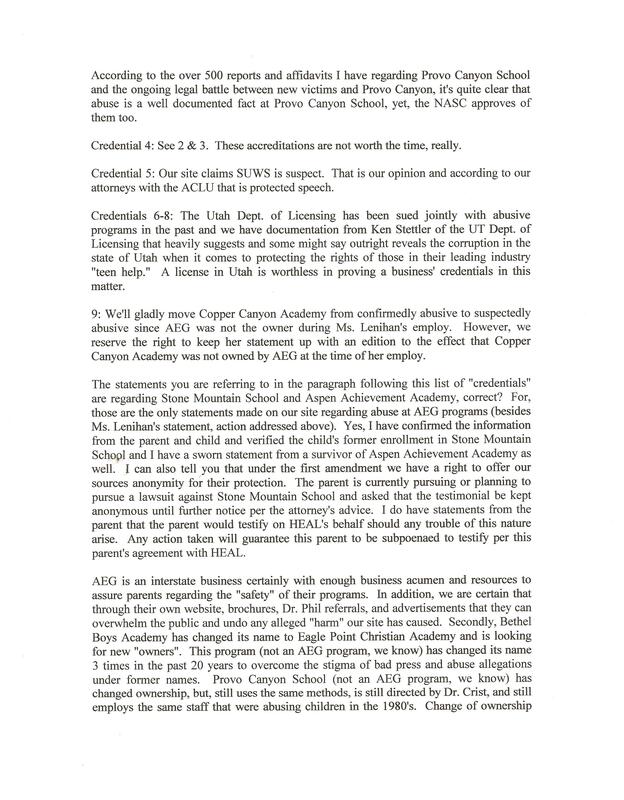 Provo Canyon School was able to intimidate the free online petition services with their baseless threats, but, with the evidence we provided 1 & 1, we persuaded our ISP that Provo Canyon School was only trying to silence victims of their abuse and fraud through intimidation. Using a lawyer to do so puts the lawyer in jeopardy of reprimand from their State Bar Association(s) because it is a violation of Federal Procedure Rule # 11. 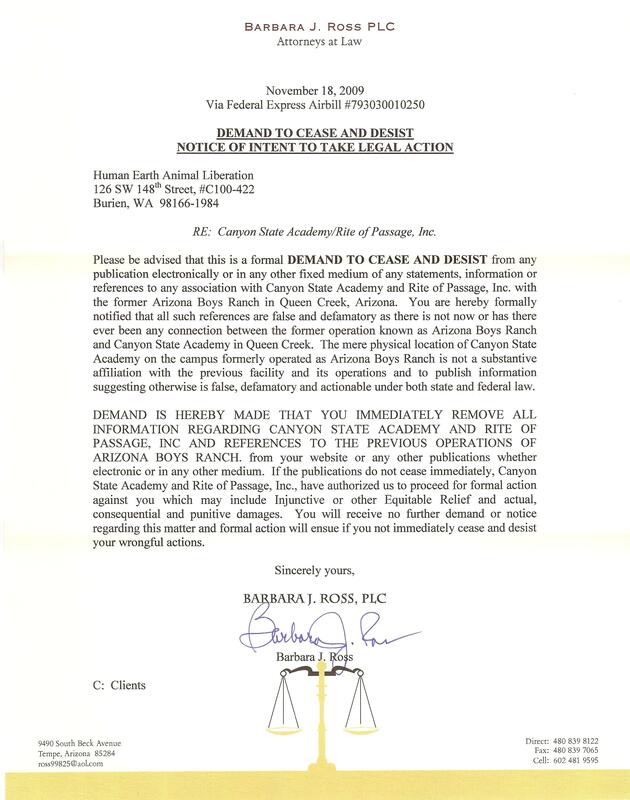 We received your "Demand To Cease And Desist Notice of Intent to Take Legal Action" in regards to our website and the information connecting Arizona Boys Ranch to Canyon State Academy/Rite of Passage, Inc.
As you noted in your letter, Canyon State Academy is in the same location as the former Arizona Boys Ranch. But, beyond that, the program still employs much of the former Arizona Boys Ranch staff including Jay Reichenberger. A name change does not mean a change in practices. And, it is not a false statement to link the two as such a link is supported by independent reports and current staff histories. You can view our information on Canyon State Academy/Arizona Boys Ranch by visiting http://www.heal-online.org/childtortureusa.htm#canyon and http://www.heal-online.org/canyon.htm. 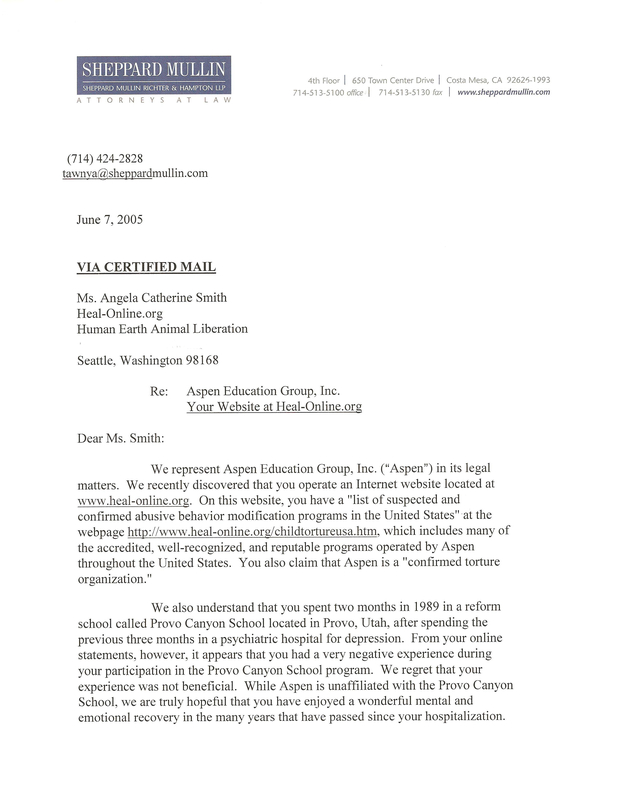 If you check the links for fact-checking our information on those pages, you will clearly see the strong basis for our concerns regarding the practices at Canyon State Academy/Arizona Boys Ranch. We offer all programs the opportunity to submit information to HEAL that evidences a change in policy, procedure, and practice. 1. 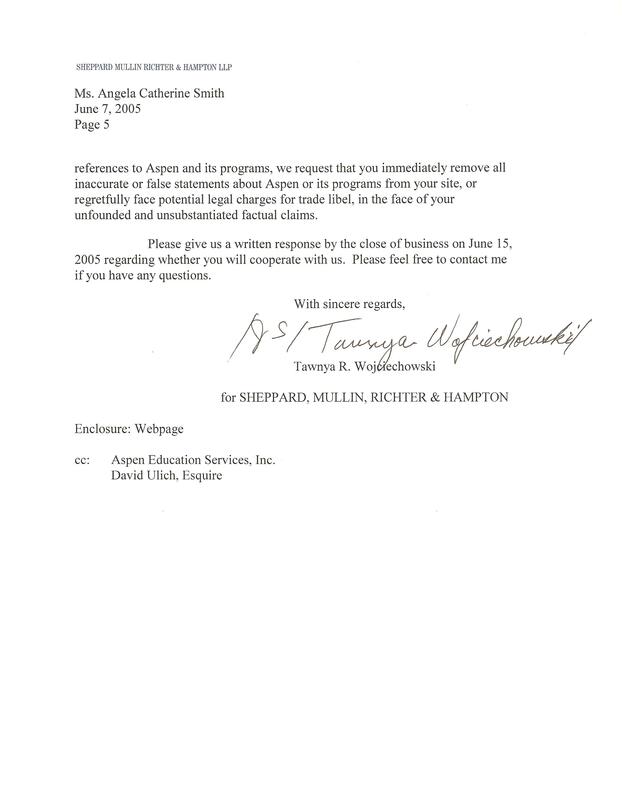 We require a signed letter from the director of your individual program stating that all information provided to us by said program is true to your program and accurate and complete in detail. 2. 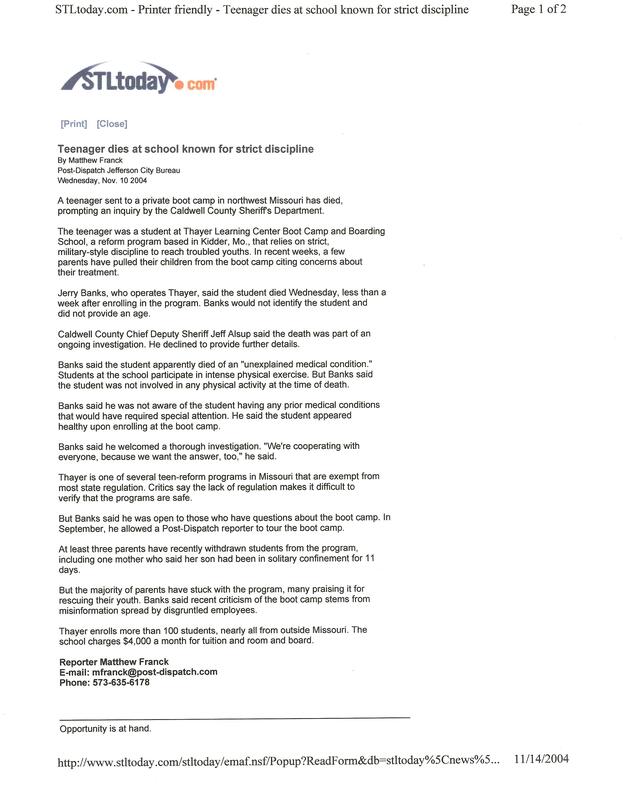 A blank copy of all waivers, contracts, and program rules and regulations as told to parents/required for parents to sign as well as those given to children enrolled in the program. 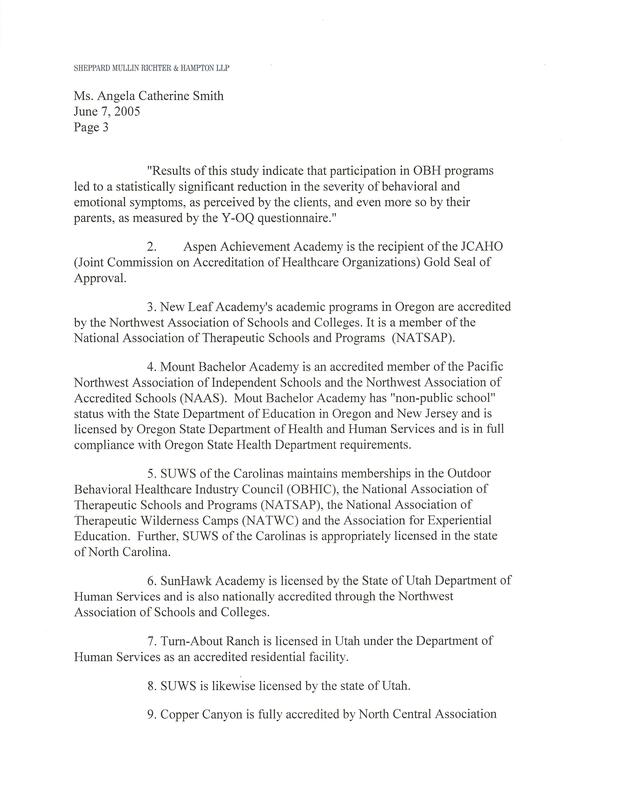 If upon receiving and reading such information our organization finds that the children in your program are not being abused, meaning there are no red flags or warning signs matching in word or spirit those as can be found at www.heal-online.org/warn.htm or www.isaccorp.com, we will remove your qualifying program from our site and in its place we will put up an apology to your program for judging the program erroneously for one month's time. 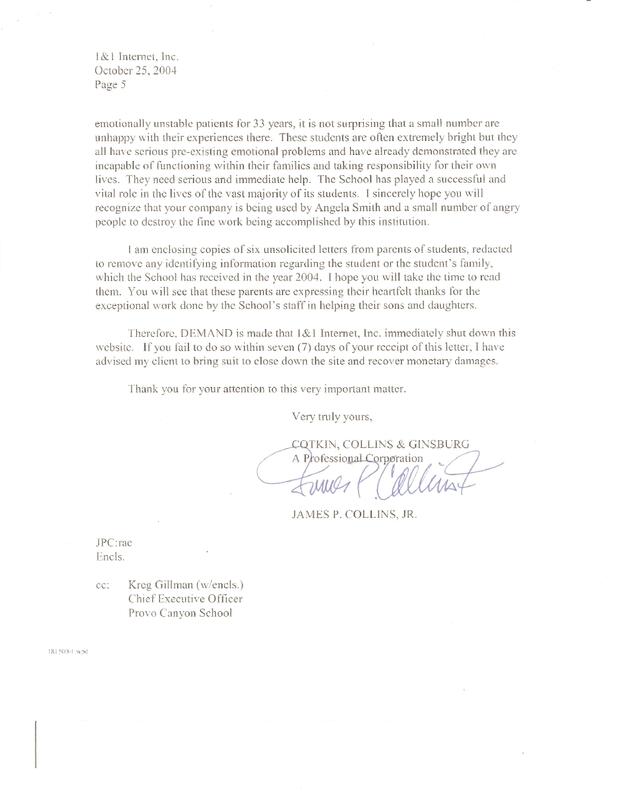 However, if upon receiving the requested documents we find that your program continues to raise red flags for us, we will continue to exercise our rights to free speech and tell the world exactly what we think of your program based on the information we currently have and any further information we gather based on materials provided. In addition, we will not remove any program listed as confirmedly abusive from our website. This offer is extended only to unknown or suspect programs. Our number one goal as an organization is to protect children from harm. 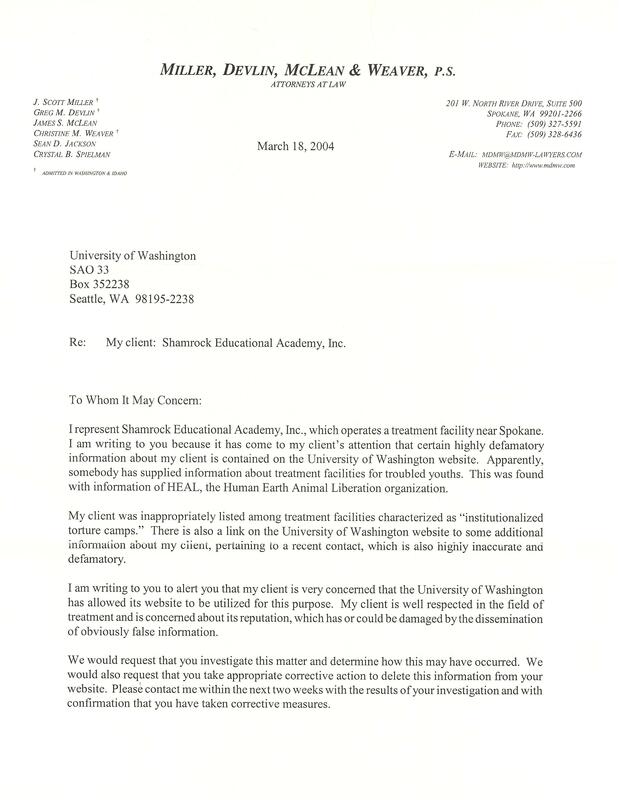 When we suspect an organization or facility to be causing harm to children, we post them as suspect. If we have even one survivor of the program contact us with their story of abuse, we list the program as confirmedly abusive. 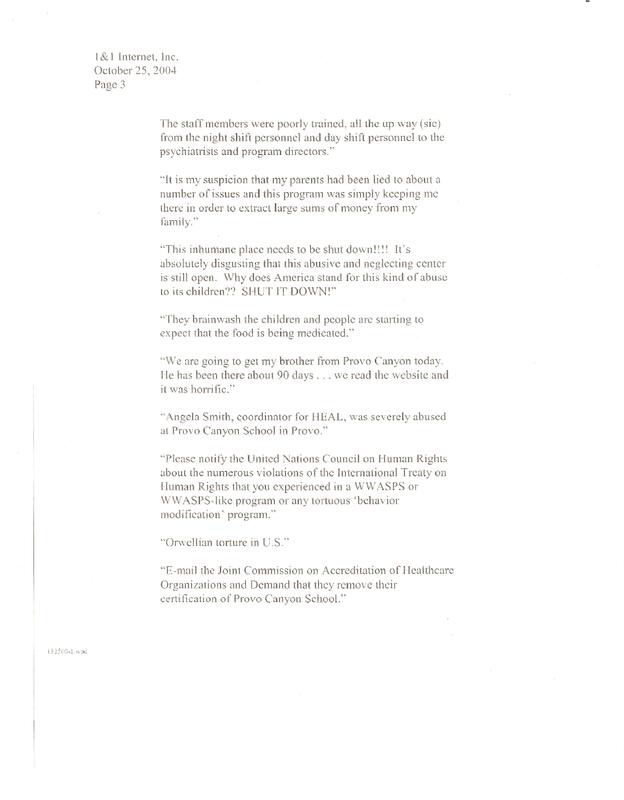 You may send the requested materials enumerated above to: HEAL, 126 SW 148th St., Suite C100-422, Seattle, WA 98166-1984. Given our reasonable basis for believing that Canyon State Academy is simply Arizona Boys Ranch renamed, we will not be removing that information from our website. However, if the directions above are followed and we find no continued basis for suspecting current abuse at Canyon State Academy, we will make an exception and remove Canyon State Academy from our watchlist. We would like to take this opportunity to remind you of Federal Procedure Rule #11. Any further communication between you, your client, and HEAL will be copied to our friends at the ACLU, our attorneys, and the Arizona State Bar association. We will also write a letter to the Arizona State Bar Association regarding your misuse or abuse of process in this case should you pursue this matter. It is frowned upon to stifle free speech and some states have reinforced the laws protecting free speech in regards to exposing corporate fraud and abuse. 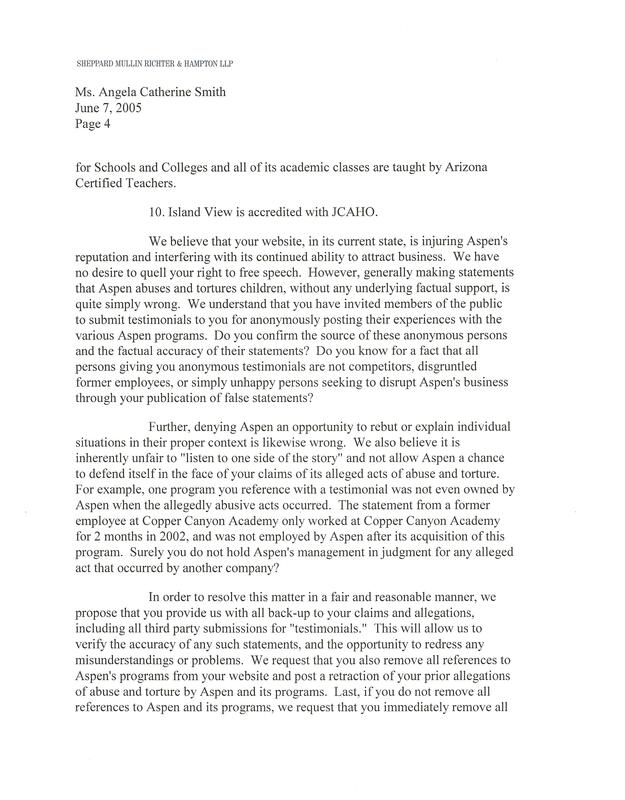 We will not hesitate to make a very compelling argument defending our position that Canyon State Academy is simply Arizona Boys Ranch renamed as is stated by the report at http://eportg.cgc.maricopa.edu/published/h/is/history106-2007/collection/1/. 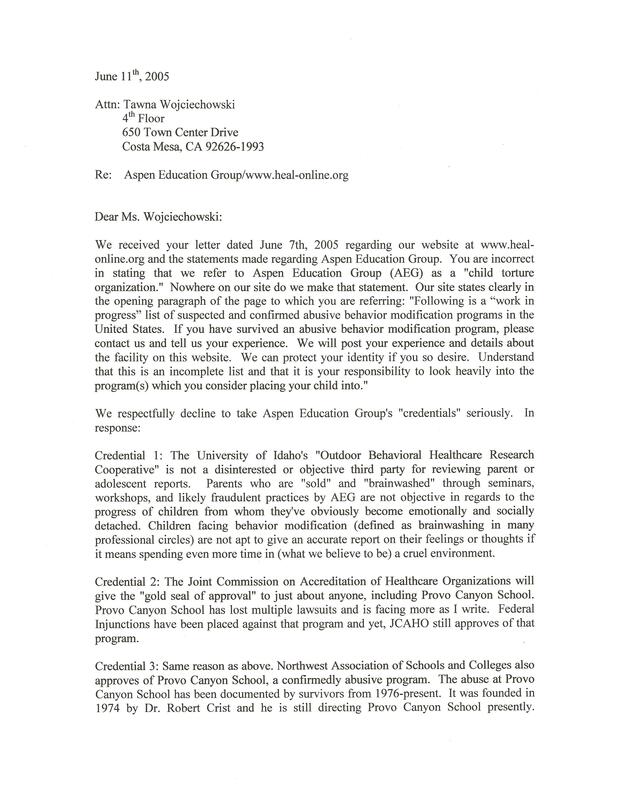 We have saved a copy of this report and other evidence that creates a clear basis for associating Canyon State Academy with Arizona Boys Ranch. 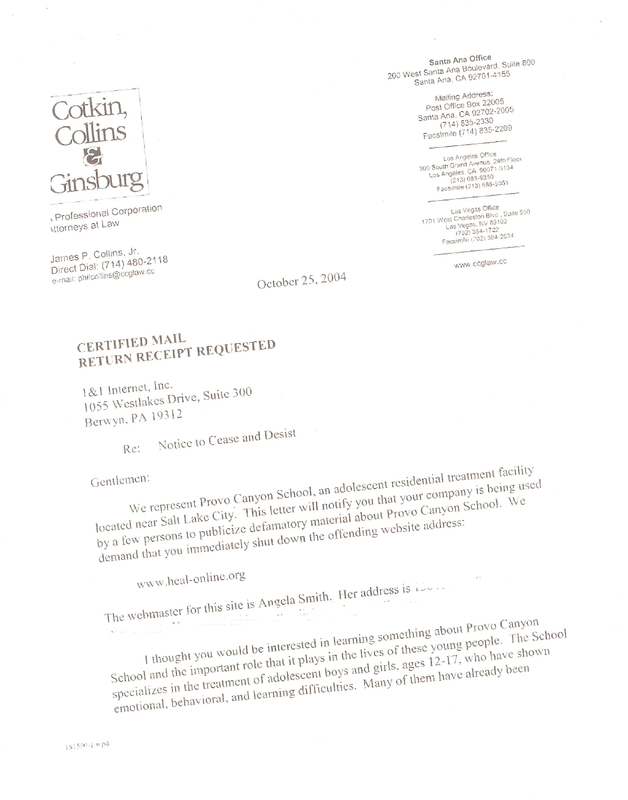 In addition, should you pursue legal action against our organization, we will file a counter-suit for harassment and abuse of process. In addition, we will not hesitate to exercise our right to full discovery including access to all records of Canyon State Academy, Arizona Boys Ranch, Rite of Passage, Inc. and their respective holdings and confidential client information. We will not hesitate to call upon victims of Canyon State Academy/Rite of Passage/Arizona Boys Ranch to testify as to the accuracy of our statements. And, we will not hesitate to use the information found in discovery to support the argument that the program's name may have changed, but, little to nothing else. HEAL is certain we haven't received the last threat of this nature. We ask that programs focus on improving and investing in other less controversial endeavors than the defrauding of families and torture of children. And, we ask that they cease wasting our time and their money in trying deny us the rights we are guaranteed in the United States. HEAL has also created a Requests page for open dialogue regarding our questions and concerns with program representatives. And, we have posted an invitation to all programs to submit requests for editing or correcting any information on our website they find to be inaccurate.